it’s more commonly known as the Feast of the Epiphany and the day the Orthodox churches celebrate Christ’s birth. In Ireland the idea was that today being the last day of Christmas, the women left the men to fend for themselves and took the day off. In our house it was the day the decorations came down and the tree, both tasks that required my mother’s careful packing skills so she never got the day off. Here our decorations have been down since Monday, ignoring the tradition but leaving our living room light and airy again. Christmas is an excellent example of how cultural elements are adapted and given new meaning. As Jesus’ birth date is not known, it was fixed to December 25, the solstice according to the Roman calender, in the 4th century. Some say this was to appropriate the solstice festival, or that of Saturnalia or Sol Invictus. If any group is master of cultural appropriation it is Christians, who merrily converted Celtic goddesses like Brigid to saints and managed to ensure every Irish legend ends with a trip to the priest for baptism. 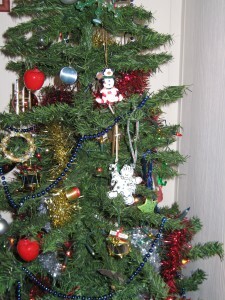 The Christmas tree has pagan origins linked to the bringing of evergreen boughs into the house in winter. Most of the other traditions have their roots in more recent times, with many actively encouraged by a society based on spe nding money. The trimmings of Christmas, the tree, the turkey, Santa and exchanging presents have been taken as a whole and attached to the celebration of New Year in Turkey. This is a boon for those of us who want to celebrate Christmas and like the decorations and atmosphere of a lit-up street or shopping centre. And there’s a certain justice in Santa coming home to Turkey, as his original incarnation was St. Nicholas of Myra in southern Turkey who left bags of money in the windows of poor families so they could have a dowry for their daughters. The problem with this is that New Year has become synonymous with Christmas in Turkey. Any Christmas films translated and dubbed have Noel and Yeni Yil “New Year” alternated nearly at random. They are impossible to differentiate for an onlooker with little knowledge of the world outside Turkey. The visual trimmings of the Christian holiday have been expertly dissected from the religious imagery and meaning, served up with a sauce of fuzzy translation. Every year the same controversy rages. Muslims shouldn’t celebrate New Year because it is a Christian feast. But we cry – they are not the same! Christmas was a week ago, or if you’re Orthodox you’ll celebrate the 6th of January. 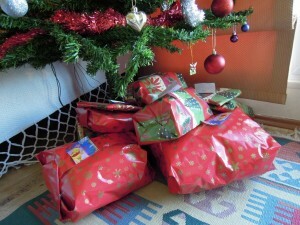 But – comes the reply – there are decorated trees and turkey and presents and Father Noel and Home Alone on the television. The danger comes in this post-truth world where it is impossible to persuade by reason and logic. To many in Turkey and among ot her more dangerous elements in the Muslim world New Year is a Christian feast. That easily-disproven fantasy is alluring enough to send a gunman into a nightclub to kill 39 and injure nearly 70 people. The fact that the majority of those killed were Muslim, whether from Turkey, Israel, Jordan, Saudi Arabia, Lebanon, Iraq, Morocco or elsewhere, will be conveniently ignored. While many fear that Muslim extremists will attack people whose lifestyles they object to, it’s often forgotten that they are quite happy to kill fellow Muslims for the same reason.